Throughout the early 70’s, Tom Oberheim quickly gained a reputation as a talented effects manufacturer. His company Oberheim Electronics notably engineered the Maestro Ring Modulator and Phase Shifter which had a huge success on the US market. After gaining experience as an official dealer for ARP Synthesizers in Los Angeles, he designed the Synthesizer Expander Module (SEM) with the help of Dave Rossum of E-mu Systems. It made its debut in May 1974 at the Audio Engineering Society Convention in L.A. 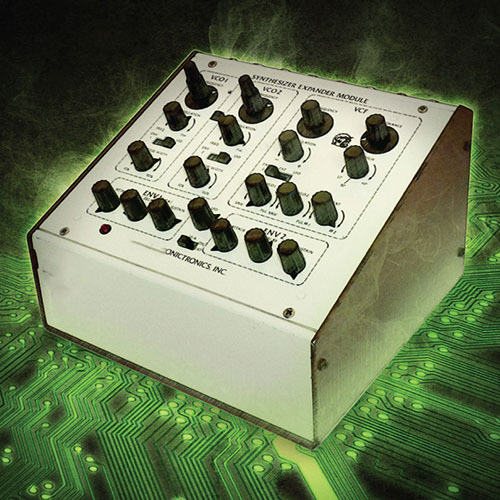 The SEM was one of the world’s first self-contained synthesizer modules. 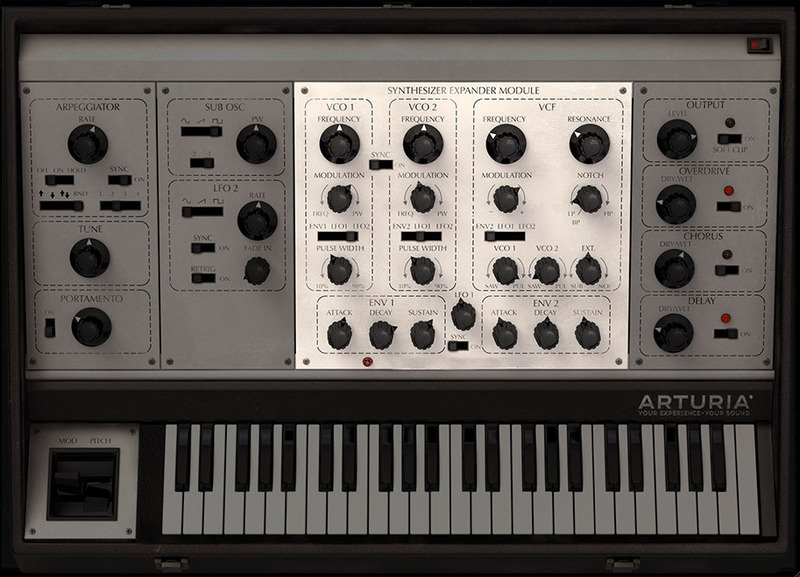 It was primarily developed as a convenient solution for musicians who wanted to set up sequences without tying up more valuable synths. The SEM also worked very well as an expander to fatten up the tone of other synthesizers like the Minimoog or the ARP Odyssey. Soon the SEM gained a popularity of its own, thanks to the unique sounds generated by its innovative multimode filter. Tom expanded upon this success by creating polyphonic synthesizers that were basically combinations of the SEM with a digital keyboard in one carry-case. Besides the OB series, Oberheim extended its line with popular synthesizers such as the Matrix 6, -12 and -1000. Sadly, in 1985 Oberheim Electronics folded. However, the brand name and some of its products were carried forward one company after another. And then to the joy of synth enthusiasts, as of 2009 Tom started producing updated versions of his early synthesizers again. The original SEM has particular characteristics for which it is loved by many musicians to this day. SEM V brings back the sound and special characteristics in an accurate virtual emulation. 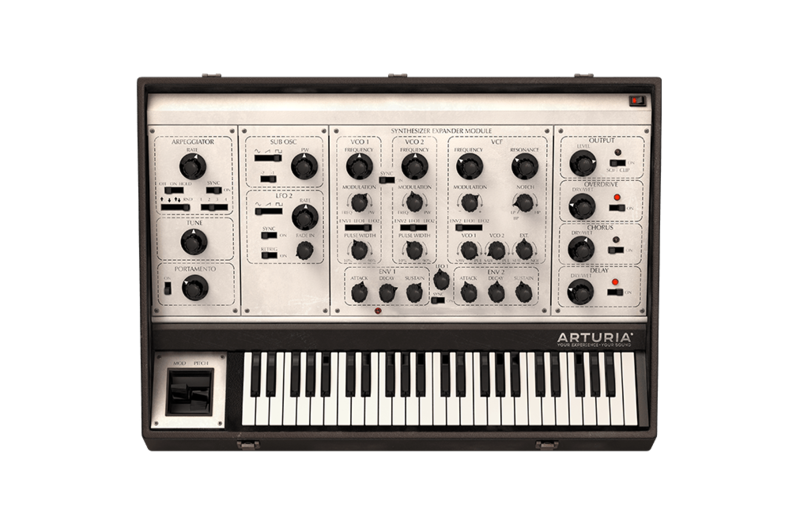 The SEM V modules have been faithfully modeled using TAE® (True Analog Emulation), Arturia’s proprietary technology that precisely models the behavior of analog circuits. And the results speak for themselves: SEM V is a stunningly accurate virtual instrument that delivers the same acoustic properties as the original. Like all components of SEM V, we modeled the two oscillators with the utmost respect for the properties of the original circuit. They replicate the exact sawtooth and variable-width pulse waveforms present in the original. On a control level, the SEM V interface also duplicates the behavior of the dual-concentric knobs for coarse and fine tuning, with a right-click/drag activating the fine adjust mode (as it does for most parameters). The 12dB/octave multimode filter is one of the most remarkable modules in the SEM. In many ways it helped define the sonic identity of Oberheim, because it shaped a diverse range of sounds that were almost impossible to get on other synthesizers. SEM V carefully models the four modes of the filter (low-pass, high-pass, notch and band-pass). Our commitment to recreating each detail means that you can either switch to band-pass mode or sweep through the other three modes simply by turning the knob clockwise. The particular response of the ADS envelopes is accurately reproduced, as are the VCF mixer and all modulation knobs and switches, so you’ll be able to nail any of the classic SEM tones. With the intuitive Keyboard Follow module you can draw complex modulation curves easily. Up to 6 independent curves can be created, ensuring precise control of the sound from your MIDI keyboard. Inspired by the multitimbral capabilities of the 2-, 4- and 8-voice Oberheims, the 8-Voice Programmer is a powerful module with which you can make drastic edits on up to 8 SEM V voices. 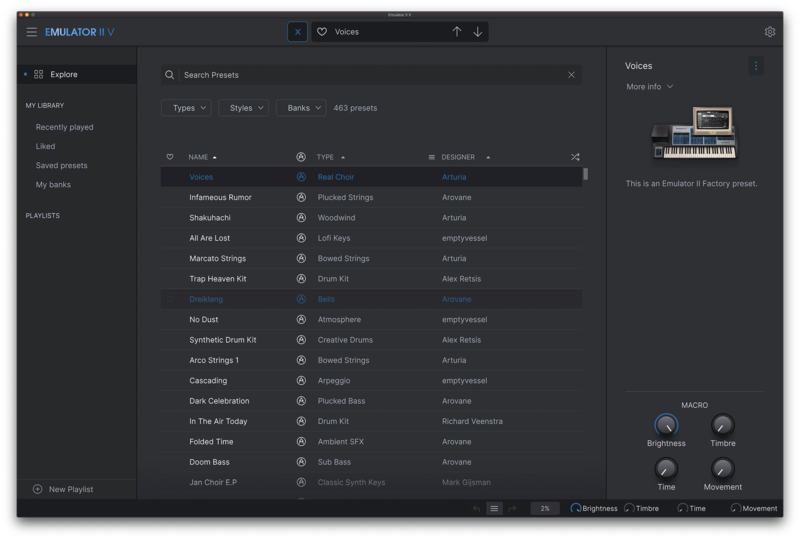 Unlike the repetitive manipulations on a hardware SEM, the graphic interface of the 8-Voice Programmer makes programming a breeze. Whether you want to play spectral pads or complex sequences, this module will allow you to achieve amazing sonic results in no time. The SEM V Modulation Matrix offers 8 simultaneous modulation routings which can send 8 different sources to more than 25 destinations. With its polyphonic capability, arpeggiator, 8-Voice Programmer, Modulation Matrix and effects, SEM V can create an incredible array of sounds while staying true to sonic character and simple interface of the SEM architecture. SEM V is a powerful instrument capable of producing a wide range of warm analog sounds. Reproducing the unique SEM architecture with its oscillator sync, characteristic filter shape and specific envelope response, SEM V is able to generate the fat basses that have made the Oberheim brand so popular. Thanks to its simple and clever pitch bend and mod wheel routings, it’s very easy to produce moving and lively leads. Its remarkable 12 dB/oct multimode filter is a real blast from the past, and it’s an awesome tool in the context of today’s electronic music. This unique module can instantly tailor your sound to fat, crisp or spectral textures with every shade of nuance in-between. 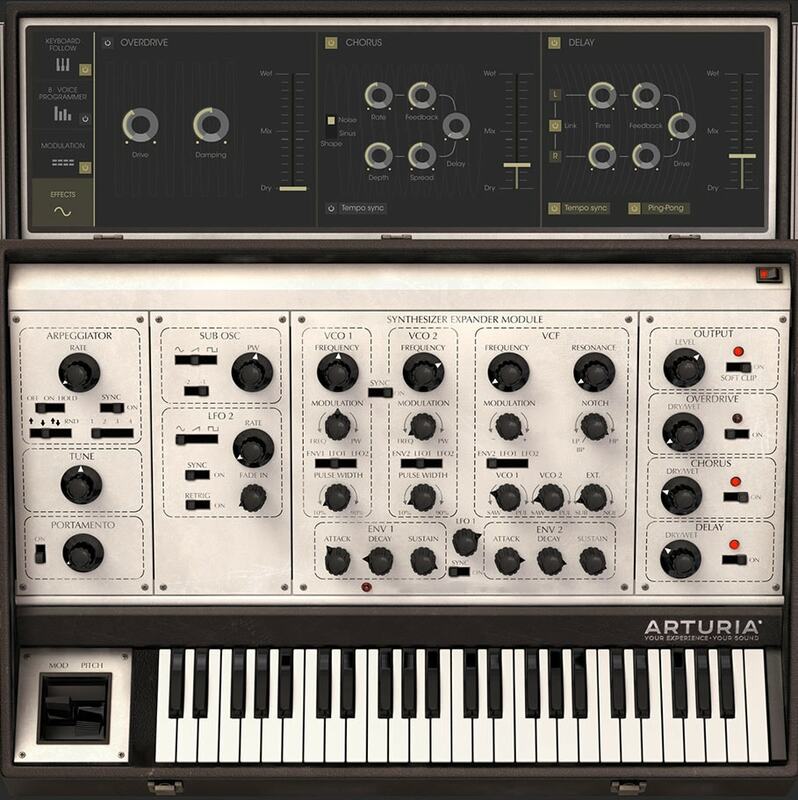 The added polyphony and multitimbral capability will allow you to step into a world of deep pads, warm brass and complex sequences, features which were characteristic of the later 2-, 4-, and 8-voice Oberheim synthesizers. Your SEM V module basically has the power of 8 SEMs! Thanks to the ergonomic 8-Voice Programmer module, setting each SEM voice is much faster than on hardware, leading to unique sonic results. Combined with the Keyboard Follow and the Modulation Matrix, the expressive capabilities of SEM V have gone far beyond the original. This ambient track showcases some deep SEM pads and a sequence that derives its crystalline sound from the notch position of the filter. The panning of each voice is unique courtesy of the 8-Voice Programmer, which results in a spacious effect typical of the 4- and 8-voice models. All sounds were produced by SEM V, including the percussion.